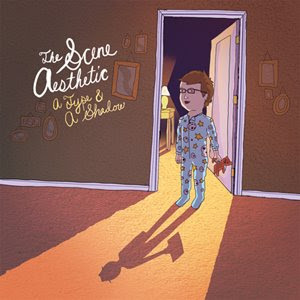 After taking a few years off, The Scene Aesthetic is back with a new EP A Type & A Shadow. The Pros- A Type is what you would expect from The Scene Aesthetic. Ballads and catchy pop tunes. That stuff I can take in small doses and that's what we have here. The EP is only 22 minutes long and after several listens I wanted more. Most of the tracks are better than anything you are hearing on Top 40 radio. Solid record. The Cons- The Scenes' music is more for 14 year old girls and that's their calling. I did catch myself singing along at one point. I just hope nobody heard me. If you are into to Pop music with lyrics like "So I wrote you this song, I hope that you like it. Cause you light up my life, and I know you can fight this. You're the most beautiful girl in the world, and I wanted you to know", then this is right up your alley. If that's a little cheesy for your taste, then this is not for you. If you are looking for more stuff from The Scene Aesthetic, check out the compilation Rockin' Romance. They do a cover of Taylor Swift's Love Story and its the highlight of the CD. You can buy it here.